A fairy chimney is a conical rock formation, typically found in the Cappadocia region of Turkey. The geology of areas where fairy chimneys exist typically comprise a thick layer of tuff, covered by a thin layer of basalt or other volcanic rocks that are more resistant to erosion than the underlying tuff. Fairy chimneys are formed where a small cap or boulder of the original basalt remains, protecting a cone of tuff beneath it from erosion. Eventually, the tuff will be undercut to the extent that the cap falls off, and the remaining cone is then quickly eroded. 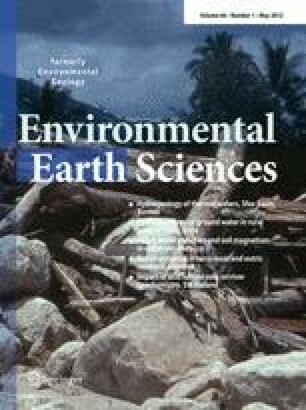 In this study, the formation of fairy chimneys in the Cappadocia region was examined by investigating the surface soil erosion. A study area was selected and then scanned at five different times by a geodetic robotic total station at 40 cm horizontal and vertical intervals. The volumes of the study area were calculated from the same height and erosion was calculated from the volume differences indicated by the data. The relationship between erosion and meteorological data was analyzed, and showed that erosion had increased due to climatic conditions, particularly from the effect of rainfall. This study is supported by the Scientific and Technological Research Council of Turkey, Project Number: 106 M 057.